I have been at a number of funerals in recent weeks. 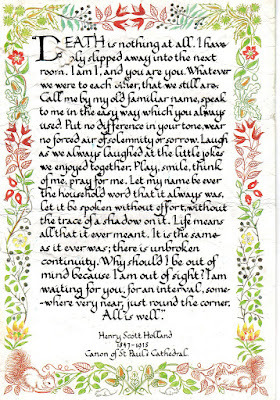 Often, families ask to read ‘Death is nothing at all,’ by Henry Scott-Holland. It is often presented as a poem, but is, in fact, part of a sermon preached over a century ago. The author, then Canon Henry Scott-Holland (1847-1918), died 100 years ago on 17 March 1918. At the time he preached this sermon, he was the Canon Precentor of Saint Paul’s Cathedral, London. He never imagined his words would become a poem, and he spoke them as part of his sermon, ‘Death the King of Terrors,’ preached in 1910 while King Edward VII was lying in state at Westminster Hall. Later that year, Henry Scott Holland was appointed Regius Professor of Divinity at the University of Oxford. He was also a canon of Christ Church, Oxford, and the Scott Holland Memorial Lectures are held in his memory. 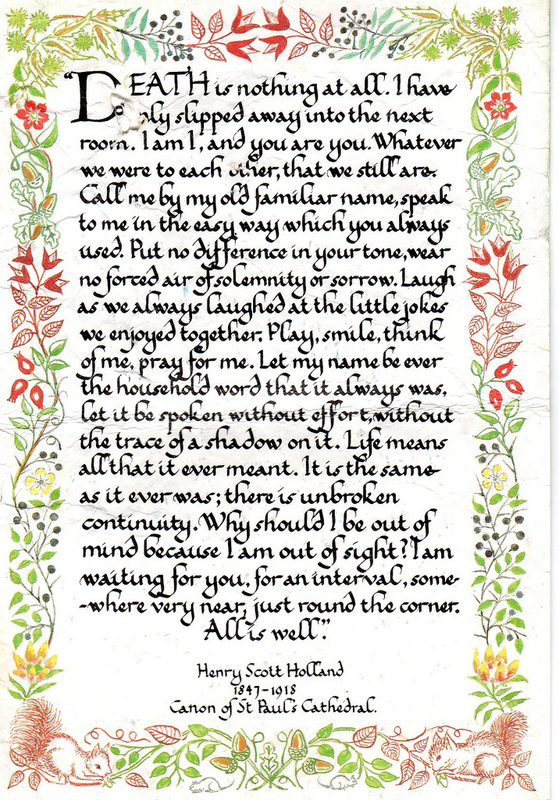 Henry Scott Holland was born at Ledbury, Herefordshire, on 27 January 1847. He was the eldest son of George Henry Holland (1818-1891) of Dumbleton Hall, Evesham, and of the Hon Charlotte Dorothy Gifford, eldest daughter of Robert Gifford (1779-1826), 1st Lord Gifford and Lord Chief Justice (1824). At Eton, he was a pupil of the influential William Johnson Cory (1823-1892). But he was not an outstanding student, and at his first attempt he failed his entrance exam at Oxford University. He tried again in 1866 – and this time he was successful. 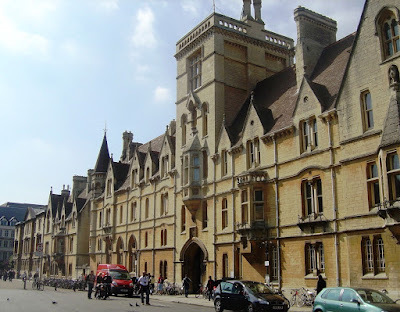 At Balliol College Oxford, Holland struggled academically until he came under the influence of Thomas Hill Green (1836-1882), the senior tutor in philosophy. Green has been described by Roy Hattersley as ‘the first philosopher of social justice.’ Holland was inspired by Green’s ideas on religion and social reform and he eventually obtained a First in Greats. 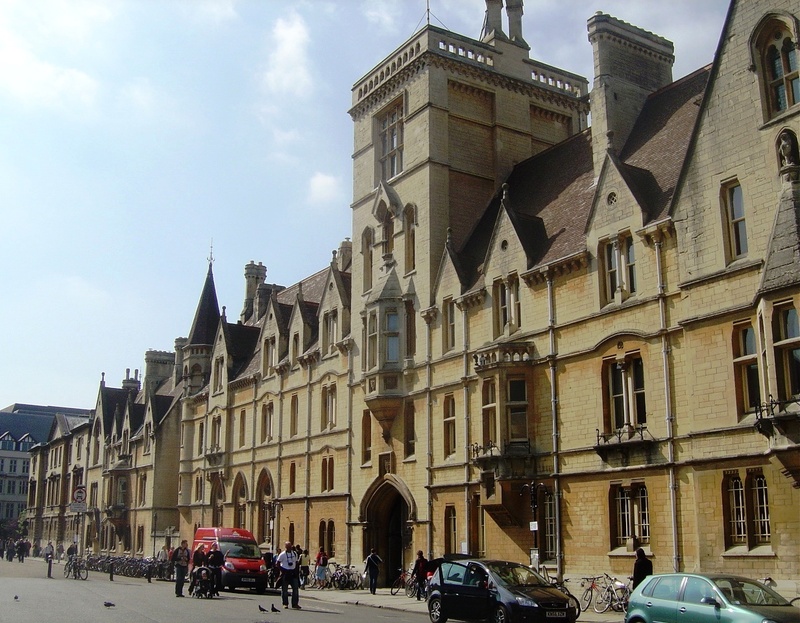 In 1870, he was elected to a Senior Studentship (fellow) of Christ Church, Oxford. where he became tutor in 1872. He was ordained deacon in 1872 and priest in 1874 by William Mackarness, Bishop of Oxford. Later, he would also receive his DD and an honorary DLitt at Oxford. At Oxford, he lectured and published several books and articles, including The Duties of the Parochial Clergy Toward Some Forms of Modern Thought (1873). Meanwhile, he was senior proctor of Oxford University in 1882. When his friend George Wilkinson (1833-1907), future Primus of the Episcopal Church of Scotland, became Bishop of Truro in 1883, he appointed Holland as honorary canon of St Petroc in Truro Cathedral, and made him examining chaplain. Holland left Oxford for Saint Paul’s Cathedral, London, in 1884, when he was appointed a canon, and two years later he was made Precentor. His appointment greatly strengthened the preaching power of the chapter. His friends included WE Gladstone and John Ruskin, whom he introduced to each other. Because of his surname, Mary Gladstone referred to him affectionately as ‘Flying Dutchman’ and Fliegende Hollander. His obituary in The Times said he came to Saint Paul’s ‘with a desire to solve the social problems of London.’ In this, he was influenced by Brooke Foss Westcott (1825-1901), then Regius Professor of Divinity at Cambridge, and from whom he learnt the methods of Greek Testament study. Westcott was one of three theologians known as the ‘Cambridge Triumvirate,’ along with Joseph Barber Lightfoot and the Dublin born Fenton John Anthony Hort (1828-1892). Later Westcott became Bishop of Durham and gave his name to Westcott House, the Anglican theological college in Cambridge. Four of the 12 contributors to Lux Mundi would become bishops; Holland contributed the first essay, on Faith. 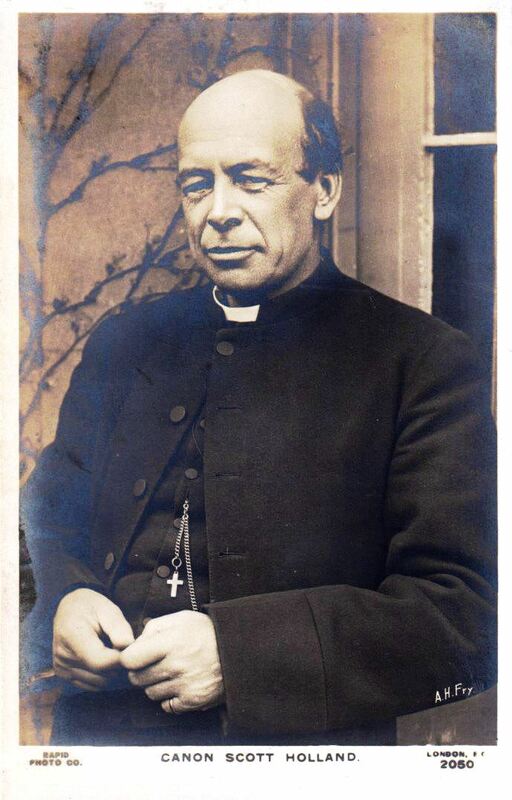 Other influential figures in the formation of CUS included Frederick Denison Maurice, once a professor of theology at London University, Charles Kingsley, John Malcolm Forbes Ludlow and William Temple, later Archbishop of Canterbury (1942-1944). By the end of the century, at least 60 branches of the CSU had been formed throughout Britain, and the CSU also published a journal, the Commonwealth, that provided a forum for discussions on religion and social reform. In 1893, Holland declined Gladstone’s offer of the See of Norwich when Bishop John Pelham retired. Holland and the CSU journal upset the leaders of the Liberal Party in 1897 when he claimed that the party had failed to protect labour from capitalism. The Commonwealth suggested that wealthy Liberals who showed no sympathy for the poor should be expelled from the party. The Commonwealth also investigated the injustices of bad housing, pollution and low wages and campaigned strongly against the Poor Law that forced people into the workhouse. The CSU also published a large number of pamphlets and booklets that suggested solutions to social problems. This included a minimum wage and state benefits for the unemployed. In Holland’s opinion, modern capitalist companies had no conscience and were acting immorally. According to Holland, capital and labour should be co-operating forces, sharing a common objective, but the system had turned them into unequal rivals. Holland’s solution to the problem was state regulation; only the state was powerful enough to ‘evoke, to direct, to supervise, to empower, and to regulate the actions’ of capital and labour. The ‘Personal Studies’ he contributed to the Commonwealth were published in book form in 1905. After the Liberal election victory in 1906, he was outspoken in condemning the Education Bill. In his sermon after the death of King Edward VII in 1910, Holland explored the natural but seemingly contradictory responses to death: the fear of the unexplained and the belief in continuity. It is from his discussion of the latter that perhaps his best-known writing, ‘Death is nothing at all,’ is drawn. The frequent use of this passage at funerals has provoked critics to argue that it fails to accurately reflect either Holland’s theology as a whole, or the focus of the sermon in particular. What has not provoked as much criticism is the affinity of Holland’s passage to Saint Augustine’s thoughts in his fourth century letter in 263 to Sapida, in which he writes that Sapida’s brother and their love, although he has died, are there still, like gold that still is yours even if you save it in some locker. Holland returned to Oxford University in 1910 when he was appointed Regius Professor of Divinity by Asquith following the death of William Ince. In spite of his years, the new professor retained his youthfulness and his abounding enthusiasm. He published seven or eight volumes of sermons, and a biography of the Swedish-born opera singer Jenny Lind (1820-1877). However, Holland’s health deteriorated after 1914, and he was restricted in his work. He died at Christ Church, Oxford, on 17 March 1918, and is buried in the churchyard of All Saints’ Church, Cuddesdon, near Oxford.